Some garments demand curiosity as to their target wearer. This is such a piece. 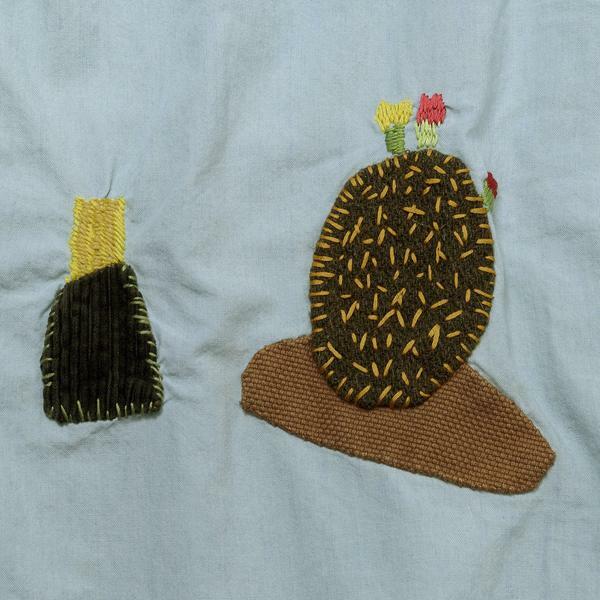 I can’t help but consider the occupation, social standing and philosophy of the kind of man comfortable in a chambray shirt covered in crude, felt cactuses? 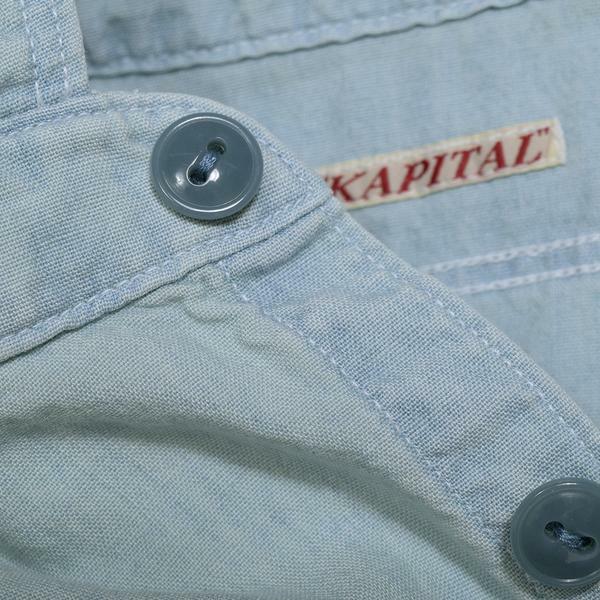 Yes, this is Kapital, again. I know, I know, but look at this thing. 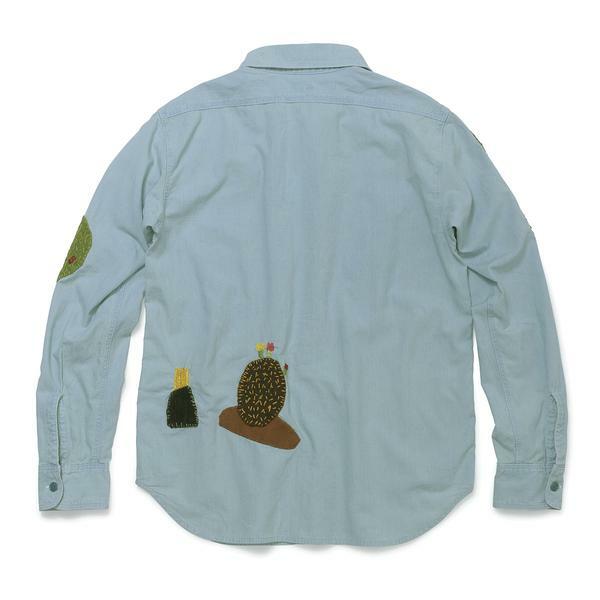 I guess some might consider it a whimsical, even comedy garment, but I don’t. ‘Witty’ clothes? Give me a break. Anyone remember that 90’s Moschino jacket with the words ‘waist of money” embroidered around the midriff? I whooped myself horse for exactly 0000.0 seconds over that one. Point being, this is not a comedy shirt. I won’t even concede it’s playful. 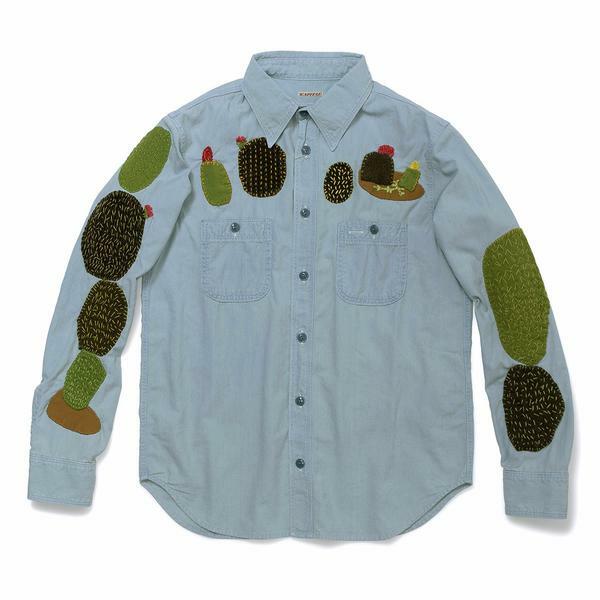 This is a shirt for a serious, be-stubbled, creative and emotional man. The kind of man agreeable (during the right month, with a strong tailwind) to spending 300 plus quid on a statement shirt. The kind of man who feels neither deeply pro, not aggressively anti cactuses as a general concept. The kind of man who handles the inevitable humorous disparagement from friends and associates by convincing himself that, ‘they just don’t get it.’ This is a shirt for me. 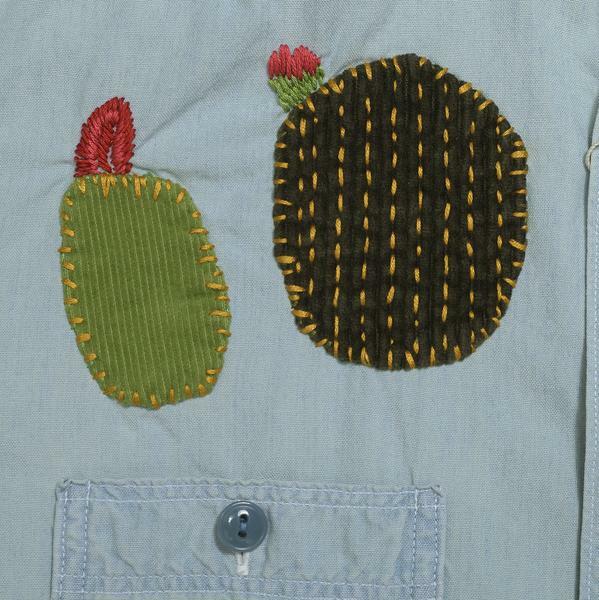 If the cacti only featured above one of the pockets or to the left rear of the shirt I think I’d actually be happy with that. Buy a shirt for 300 and start ripping bits off? Ace knocking about somewhere hot. In a damp boozer with Ethel having a row the Dubonnet’s been underpoured? Less so.